Representatives of the three main loyalist paramilitary groups have made a collective statement distancing themselves from criminality. 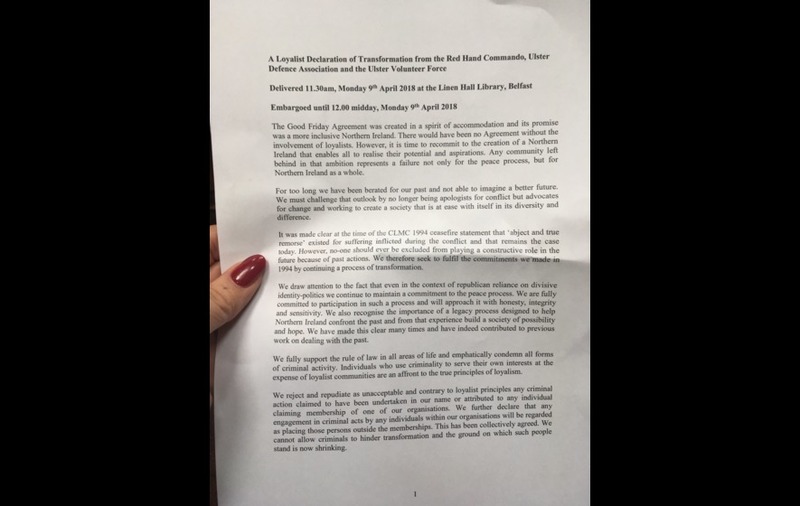 Loyalists with links to the UDA, UVF and Red Hand Commando issued a joint statement at an event in Linen Hall Library saying they fully support the rule of law and suggested any members involved in crime will be expelled. "We fully support the rule of law in all areas of life and emphatically condemn all forms of criminal activity," they said. "Individuals who use criminality to serve their own interests at the expense of loyalist communities are an affront to the true principles of loyalism. "We reject and repudiate as unacceptable and contrary to loyalist principles any criminal action claimed to have been undertaken in our name or attributed to any individual claiming membership of our organisations. "We further declare that any engagement in criminal acts by any individuals within our organisations will be regarded as placing those persons outside the memberships. This has been collectively agreed." 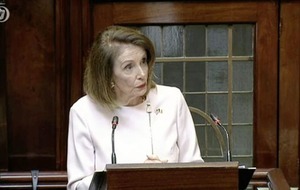 The statement was originally intended to be a roadmap to disbandment but it is understood could not secure the agreement of all those involved. Instead it will now be presented as a milestone statement to mark the Belfast agreement anniversary. As senior members of the UDA are under police investigation it meant the statement was much more low key event than what was originally planned. 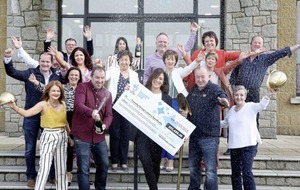 Ongoing criminality, with searches of the Bangor home of UDA boss Dee Stitt by the Paramilitary Crime Task Force two weeks ago and previous searches of high profile North Down UDA members in connections with drugs has called the funding of organisations linked to those groups into question. Stitt remains CEO of the publicly funded Charter NI, despite the ongoing police investigation. Last week a journalist was told by the PSNI that he was under immediate threat from the North Down UDA. The South Belfast UDA, have also been linked to the murder of former brigadier John Boreland in 2016. The DUP have been privately putting pressure on the UDA to clean up their act due to embarrassment over electoral support from the organisation to the party. PSNI Chief Constable George Hamilton welcomed today's "explicit commitment to peace and the rule of law". 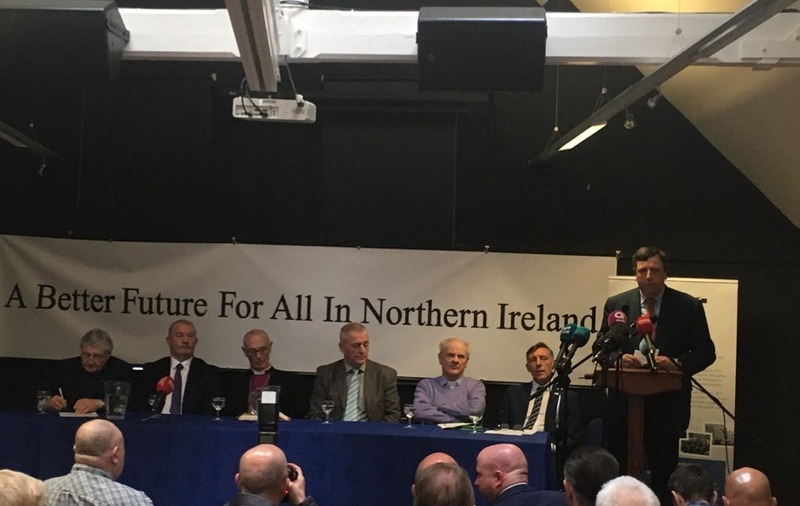 He also acknowledged "the hard work of those in progressive loyalism" and encouraged them to continue their efforts "to completely remove illegal paramilitary organisations from our communities." Mr Hamilton said: "Twenty years on from the peace agreement it is disappointing that we are still in a place where there are statements about paramilitary violence and criminality." "Our communities do not want to live in fear of violence. The Loyalist Community Council must support people in giving information to the police." "There are no grey areas when it comes to the rule of law." "Through the Paramilitary Crime Task Force, PSNI will continue to actively pursue and investigate those involved in violence and criminality and place them before the courts in order to protect society and keep people safe." The ongoing criminality linked to some sections of loyalism also puts Fresh Start funding, managed by Co-operation Ireland in jeopardy. Former assistant chief constable Peter Sheridan who heads up Co-Operation Ireland has previously made it clear he will not "be taken for a ride" by paramilitary linked community organisations. Groups applying for funding with perceived links to paramilitary groups will have to satisfy monitors that they are no longer active and have dismantled structures. 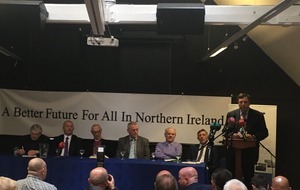 While today's statement was read on behalf of all three organisations by Rev Adam Parker it does not include the south east Antrim UDA, linked to two recent feud related murders, the North Antrim UDA who have their own separate process. 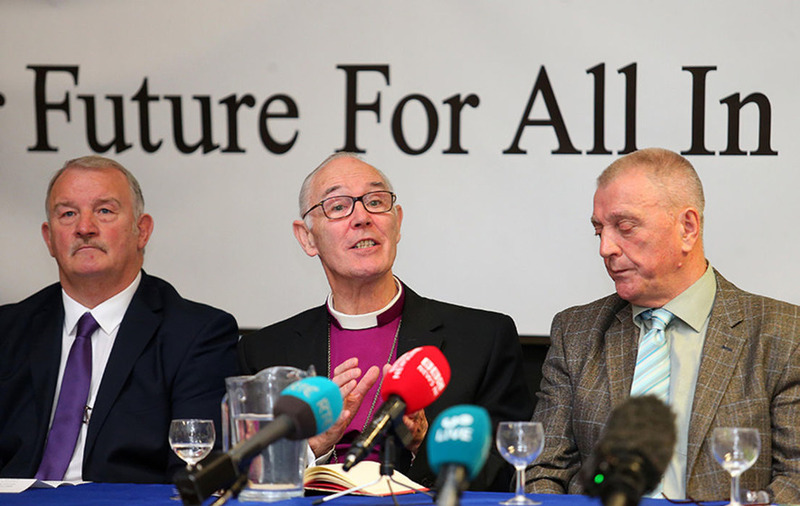 Alan Harper, former Church of Ireland Archbishop of Armagh and All-Ireland Primate, Harold Good, former Methodist President, and Norman Hamilton, former Moderator of the Presbyterian Church - took part in Monday's news conference. 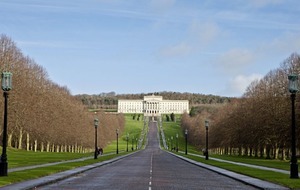 The Good Friday Agreement was created in a spirit of accommodation and its promise was a more inclusive Northern Ireland. 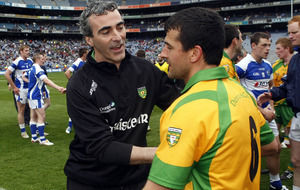 There would have been no agreement without the involvement of loyalists. However, it is time to recommit to the creation of a Northern Ireland that enables all to realise their potential and aspirations. Any community left behind in that ambition represents a failure not only for the peace process but for Northern Ireland as a whole. 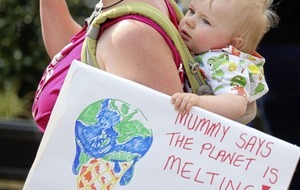 For too long we have been berated for our past and not able to imagine a better future. We must challenge that outlook by no longer being apologists for conflict but advocates for change and working to create a society that is at ease with itself in its diversity and difference. It was made clear at the time of the CLMC 1994 ceasefire statement that "abject and true remorse" existed for suffering inflicted during the conflict and that remains the case today. However, no-one should ever be excluded from playing a constructive role in the future because of past actions. We therefore seek to fulfil the commitments we made in 1994 by continuing a process of transformation. We draw attention to the fact that even in the context of republican reliance on divisive identity-politics we continue to maintain a commitment to the peace process. We are fully committed to participation in such a process and will approach it with honesty, integrity and sensitivity. We also recognise the importance of a legacy process designed to help Northern Ireland confront the past and from that experience build a society of possibility and hope. We have made this clear many times and have indeed contributed to previous work on dealing with the past. We fully support the rule of law in all areas of life and emphatically condemn all forms of criminal activity. Individuals who use criminality to serve their own interests at the expense of loyalist communities are an affront to the true principles of loyalism. We reject and repudiate as unacceptable and contrary to loyalist principles any criminal action claimed to have been undertaken in our name or attributed to any individual claiming membership of one of our organisations. We further declare that any engagement in criminal acts by any individuals within our organisations will be regarded as placing those persons outside the memberships. This has been collectively agreed. We cannot allow criminals to hinder transformation and the ground on which such people stand is now shrinking. We seek to make an important contribution to the construction of a peaceful, stable and prosperous Northern Ireland and to support this objective intend to provide strong community leadership and positive influence to promote social, economic and political development. Loyalists must have ownership and control of their own future. Now is the time for a renewed loyalism, with a new impetus to meet the challenges ahead. 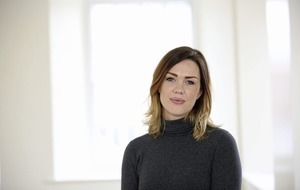 We want to see a better future for all in Northern Ireland and where the residual effects of conflict are recognised and addressed in a reparative manner. We must shape our own destiny and with the co-operation of others ensure loyalist communities are at the centre of Northern Ireland's peace and political transformation.